They say that every soldier dreams of becoming a general, but why would a newbie floor installer not dream to become the best in the hardwood floor installation field? If you have such a desire, learn 10 simple steps that can lead you to success. The first step is a sightseeing tour and workout. If you have never been involved in hardwood floor installation, try the first few days of work to do surveillance. Carefully follow all the movements of your teacher, frequently ask the questions “how” and “why”, carry out all his tasks, even if they seem boring and useless. The second step – expand your knowledge and skills, focusing on one kind of work. After several days ‘excursions’ ask the teacher if you can perform any kind of work if you feel confident. In fact, learning to do a few things, but try to focus on one until you comprehend it to perfection. The third step – develop your imagination, learn to experiment. For each type of hardwood installation there are certain rules. But there are situations when installing an element or pattern, where no rule is not appropriate. Find a way (think of and ask) how to make the best possible way that you can not. The fourth step – focus on the customer’s request. The main success of hardwood floor installation is strict adherence to the wishes of the client. You should always listen to the person from who provides your salary and discuss with him all the installation details in advance. Remember – a satisfied customer is your main concern. Step Five – make discounts. When you begin to take orders yourself, to attract more customers, promise (and do!) a small discount on one of the types of work, while leaving other rates unchanged. Step Six – Find your unique signature of installation. It will appear with more practice. You will find it from your first teacher as well as experience and the manner of other floor installers whom you will meet in your work practice. Seventh step – Learn how to efficiently use your own time and your client’s time. 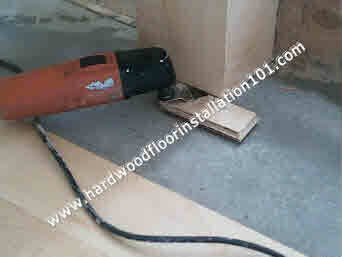 As a rule, for give each project of hardwood floor installation a certain number of days. Always try to fit into the framework of this time. The eighth step – make a preliminary assessment of the project, and draw a future picture of the client’s floor. To get the next client, learn how to convince him, listing the advantages and disadvantages of the material. Use the names of installation methods in your speech, ask your customers what floor direction of laying he prefers, what kind of transitions and so on. The ninth step – Develop your skills constantly. 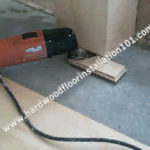 The tenth step – Raise your hardwood floor installation skills to a level of your hobby. How Easy To Install And Maintain Hardwood Floor Medallions?